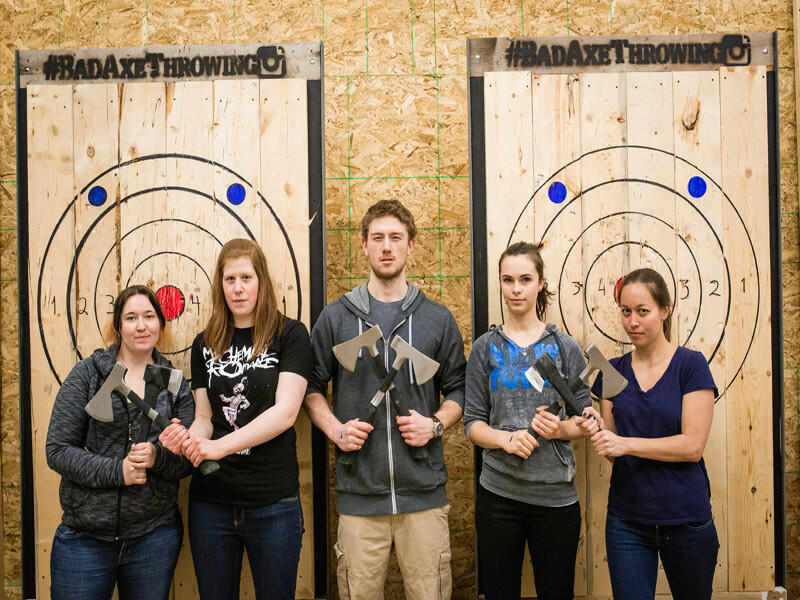 Bad Axe Throwing Winnipeg is the best way to celebrate any occasion - whether it is a bachelor/bachelorette party, corporate event or just a hanging out with friends and family you will have tons of fun throwing axes. 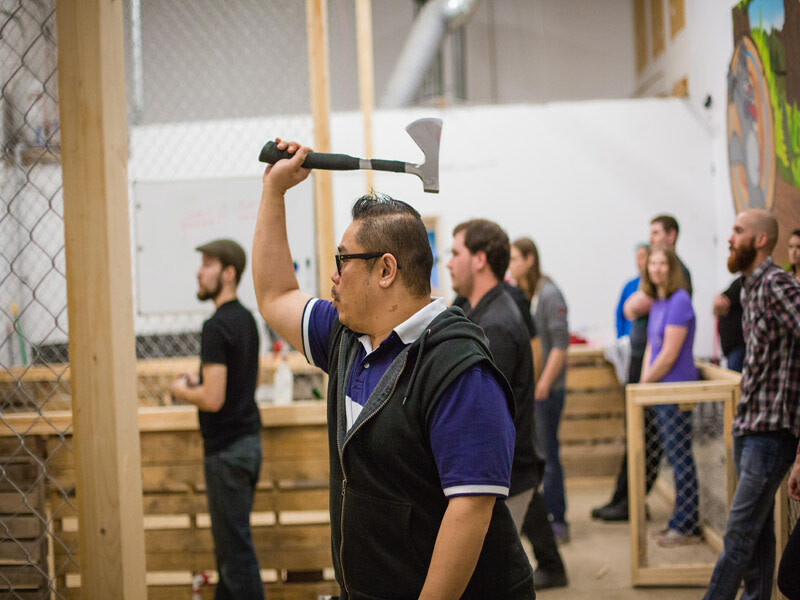 After our expert axe throwing coaches teach you how to throw an axe, we'll show you fun axe throwing games, including lessons on trick shots and more. 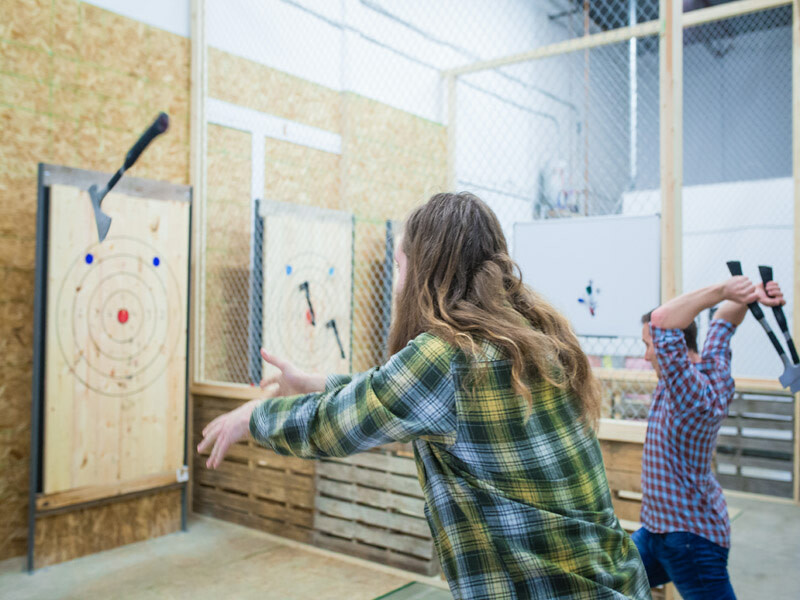 No matter what the occasion, we're the go-to destination when it comes to having fun. 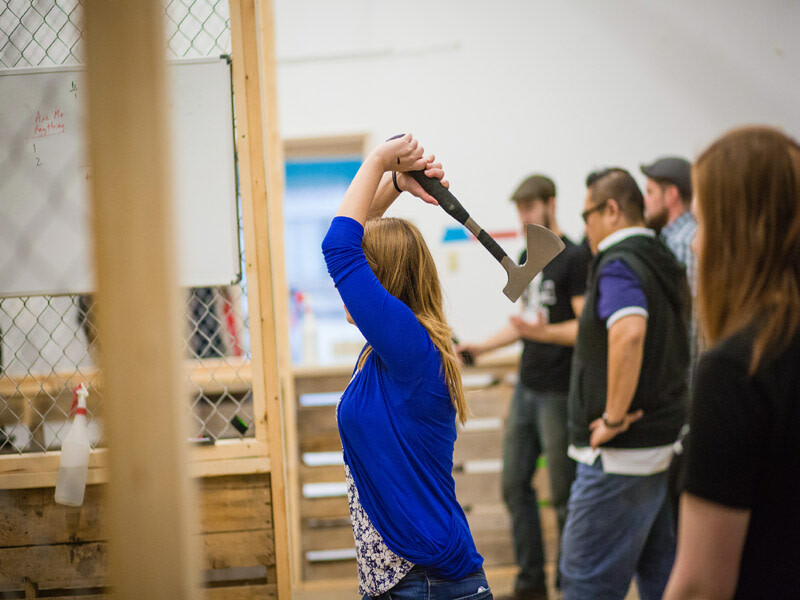 During your visit, we will provide a safety orientation, axe throwing lessons, practice time, then a mini-tournament and games featuring with all your participants hurling axes like a lumberjack. You can bring your own music, food and drinks with no charge.